Literacy might seem like an obvious part of improving brain skills because it opens the door for enhanced kinds of learning in other areas of life. But there is a lot more to it than that. In one study, researchers have actually redefined what they know about the parts of the brain involved in literacy. Apparently, after you learn to read, it’s much more complex than simply being able to read books and expand the mind with new activities and learning that require literacy. The actual structure of the brain changes after you learn to read. Language is very much a uniquely human skill that has evolved over the years after humans and chimpanzees diverged. Even if we don’t directly teach a child or have an adult around that a child can mimic, a child is still capable of developing a very sophisticated system of language. Reading, on the other hand, is something that is learned and doesn’t just automatically develop unless targeted teaching and practice are involved. But understanding how the structure of the brain changes as a person develops their reading skills is a challenging endeavour. To discover just how the brain changes is not an easy task. This is mostly because the vast majority of people learn to read when they are children, which is the time when they are learning so many other skills too. To separate all of these skills and link each one to a structural change in the brain is extremely difficult. How are we to know that an increase in the brain matter in one part of the brain is from literacy rather than, for instance, social skills? Studying adult learners might seem like the answer but this is similarly challenging because in westernised, educated nations adult illiteracy is often the result of poorer health or some kind of learning disability. By studying guerillas, however, scientists have been able to see just how the brain changes after learning to read. Researchers investigated former guerrillas in Columbia who were coming back into mainstream society and beginning to learn how to read as adults. By looking at scans of the brain done through magnetic resonance imaging (MRI), researchers were able to see the changes. Guerillas had completed a literacy programme that was done in their native, Spanish tongue. These scans were compared to similar adults before they started the same learning programme. Results showed the parts of the brain involved in reading. In those who had learned how to read, the grey matter density, which is where higher processing occurs, was greater in parts of the brain in the left hemisphere. Such areas play a key role in the recognition of letter shapes and in translating letters into the sounds in our speech. These brain areas are also involved in meanings of the words. Another interesting finding was that by learning how to read, the participants showed an increase in the strength of the white matter connections from one processing area to another. This is yet another important finding in our quest to learn more about how learning to read changes the brain. One specific finding of importance is connections to and from a part of the brain called the angular gyrus. This area of the brain is well known to researchers as critical for reading but the role hasn’t been completely clear – misunderstood even. While it was originally believed that the angular gyrus was the part of the brain responsible for recognition of word shapes before their sounds and meanings were explored, this is not the case now. In this study, it was found that the angular gyrus isn’t specifically involved in the translation aspect of visual words into sounds and meanings. Rather, it is involved in this process by giving a prediction of what the brain expects it will see. Therefore, instead of the angular gyrus acting as a dictionary of sorts, it is more of an anticipatory mechanism for what your eyes will view, not unlike how a mobile phone predicts text. The study results could be very helpful for when researchers try to understand just how dyslexia – a reading disorder – occurs. 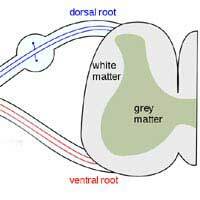 Some studies involving dyslexics have suggested that there are areas of decreased grey and white matter in the brain that can grow when the individuals learn how to read. But if we consider this new study on guerrillas, we might conclude that the differences we can see in these dyslexics are possibly the result of reading challenges rather than a cause of them. Either way, this new study helps us to finally discern how the brain is affected by literacy. We can hopefully extend the research into dyslexia and learn more, helping us to find solutions to this common reading disorder. Does anyone have the source for more information on the changes in the brain as guerrillas learn to read?